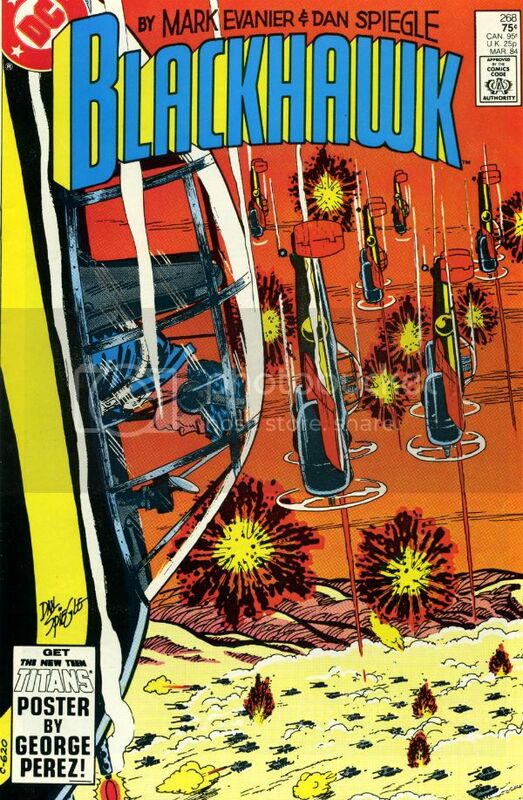 Follow this link to Mark Evanier's site and watch this video of the Mike Douglas show and see video of DM founder Phil Seuling discussing comics on national TV in 1977. Astounding footage! I never had the pleasure of meeting Seuling, or, prior to this ever even seeing video of him -- so this was a fabulous and fantastic find for me. Thanks Mark!! I especially like how they're just taking the old comics and flapping them around -- "Oh, look, a FAMOUS FUNNIES #1; here, catch!" 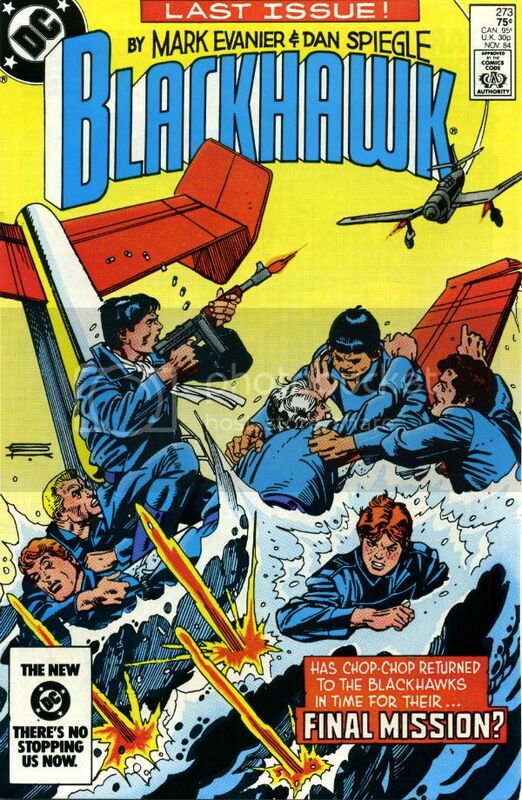 Without that guy you almost certainly wouldn't be reading blogs about comic books today... except maybe in the most nostalgic way. 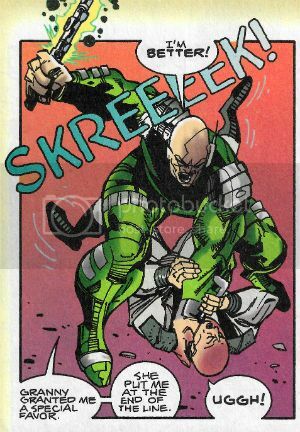 "Aimed Like A Spear-Head At Your VITALS!!" COMICS! Sometimes They Beggar Belief!! "AND LIKE SOME UNNAMED PSYCHIC ANIMAL WHICH HAS BEEN LURKING JUST BEYOND SIGHT- -"
In Comics Publishing the greatest spur to innovation is, it seems, low sales, and by innovation I mean running around throwing faeces at walls and seeing if you have captured that lucrative Brown Dollar ( See: The NU52.) 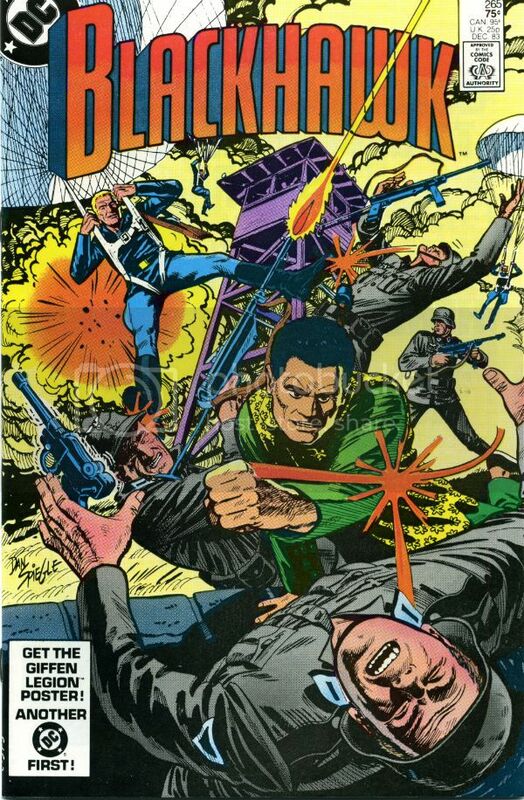 Low sales in the early ‘70s led to DC actually implementing some of Jack Kirby’s ideas for more mature magazine format product. 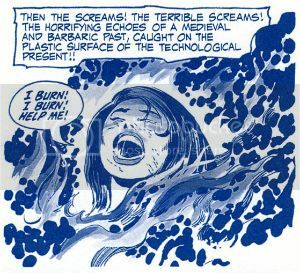 (Jack Kirby was a visionary in content and format. He was The King). There were to be three initial titles; IN THE DAYS OF THE MOB (soon to be collected), SOUL ROMANCES (too awesome to ever be seen by human eyes) and SPIRIT WORLD (here in my hands). 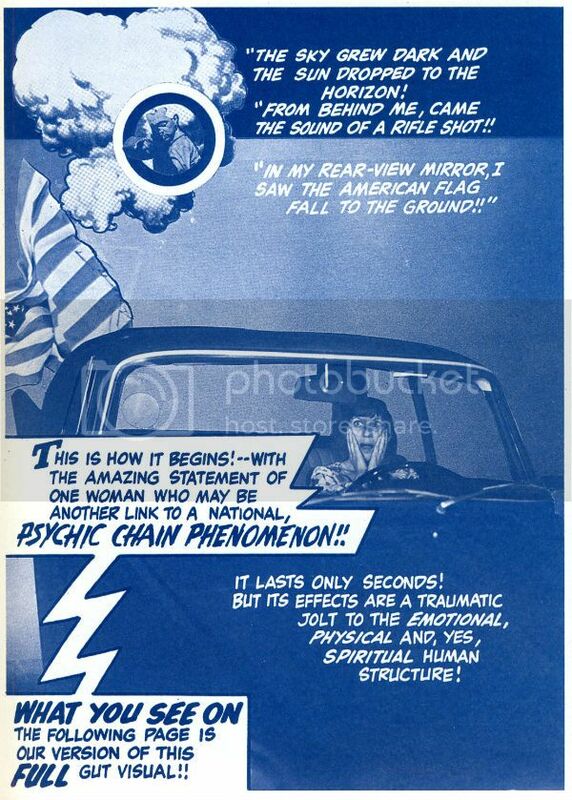 According to the informative text piece by Mark Evanier (a living witness; a gentleman) the SPIRIT WORLD magazine was intended to be a bold new approach to newsstand bedazzlement in the brash and bombastic 1970s Kirby style. "COULD THAT BE THE FANTASTIC ANSWER??" By the time it saw print though the process of whittling and denuding the initial concept endured resulted in a much diluted product. 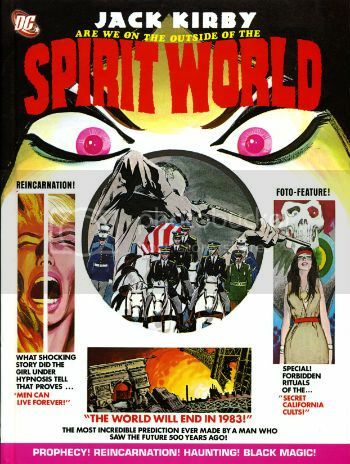 This slim, costly volume reprints the single published instance of SPIRIT WORLD magazine, together with content intended for the second issue which later appeared in other places. You don’t physically get a lot for your money but creatively you get something wonderful. Because most of what’s on these pages is by 1970s Jack Kirby. What isn't by 1970s Jack Kirby is - the cover by Neal Adams, a page of Aragones funnies, one story with Royer working over Kirby backgrounds and a fumetti by Evanier & Sherman. 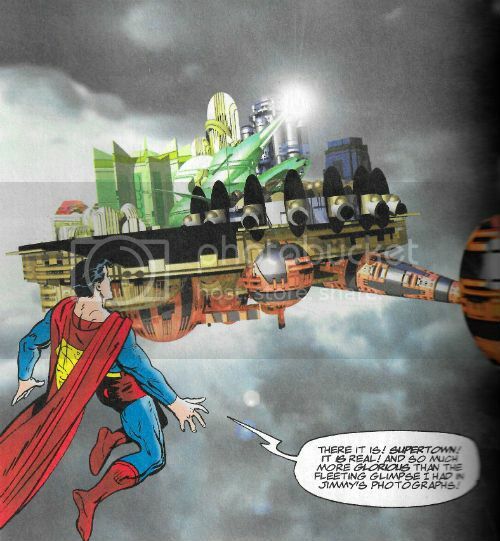 The level of DC’s faith in The King can be seen in the fact that they got Adams to redo Kirby’s cover, dropped the intended colour and went with a weird blue wash effect and, best of all, cancelled the book before sales on the first issue were in, not that they had adequately distributed the issue in the first place. As bold new thrusts into the heart of the marketplace go it was a bit feeble and lacked conviction. The premise of SPIRIT WORLD is basically a magazine version of THIS. Now a lot of people have a lot of time for the supernatural, and I think one of the reasons for this is they have all my time, because I haven’t any time for it so it must have gone somewhere. So, for me, this book is basically a load of preposterous balderdash. It is, however, EXCELLENT! Because, well, because 1970s Jack Kirby. 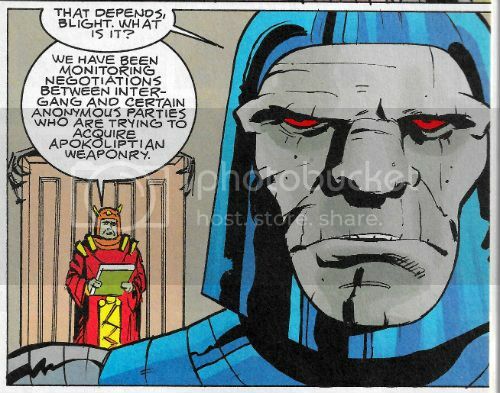 If you aren't keen on 1970s Jack Kirby then take it down to OKAY! because of the price gouge. "YOU'RE IN POSSESSION OF MEMORIES THAT YOU COULDN'T POSSIBLY OWN!" Yes, it’s 1970s Jack Kirby! Hawt Cawfee and Bagels!!! I don’t know if you’ve picked up on this yet but I’m quite partial to 1970s Jack Kirby. 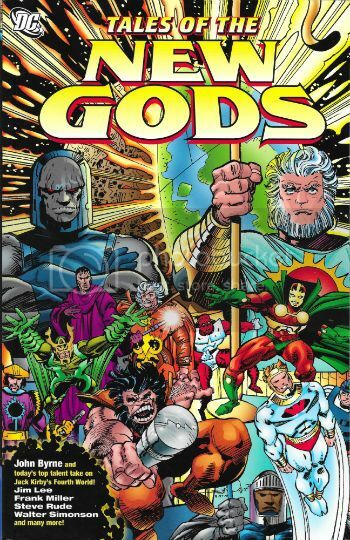 Like anyone sane I like all the Jack Kirbys but 1970s Jack Kirby is the Jack Kirby I like da mostest! Obviously, all the Jack Kirbys have something going for them and I don’t wish to denigrate any of the Jack Kirbys by my personal bias. Some folks go for 1940s Jack Kirby. 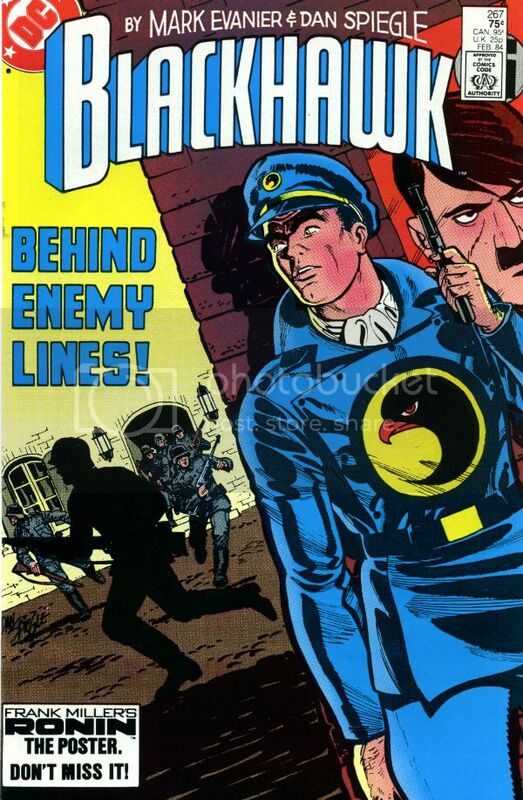 Who, after all, worked with Joe Simon creating (or at least promulgating) the Child Endangerment genre of comics exemplified by The Boy Commandos and The Newsboy Legion and, also, a certain Captain America. 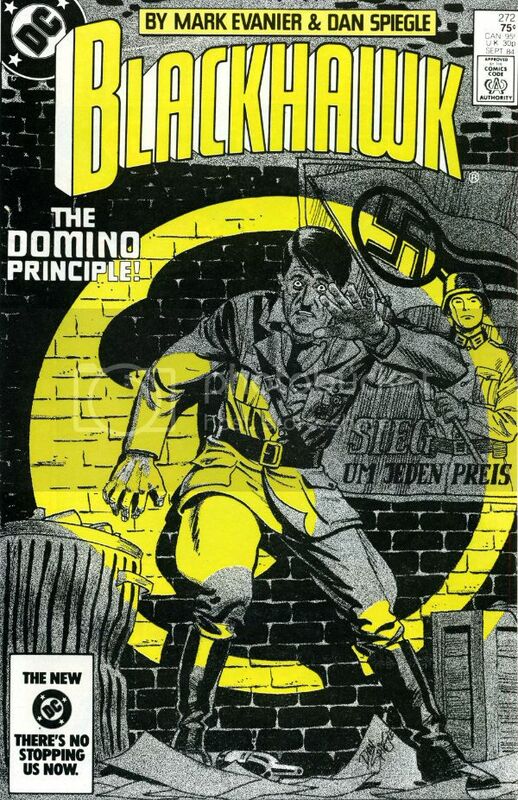 He did a lot more of course, in fact he did so much more that he was able to stockpile enough pages that he could go off and give that paper hanger in Berlin a shiner without Comics noticing he’d even left. 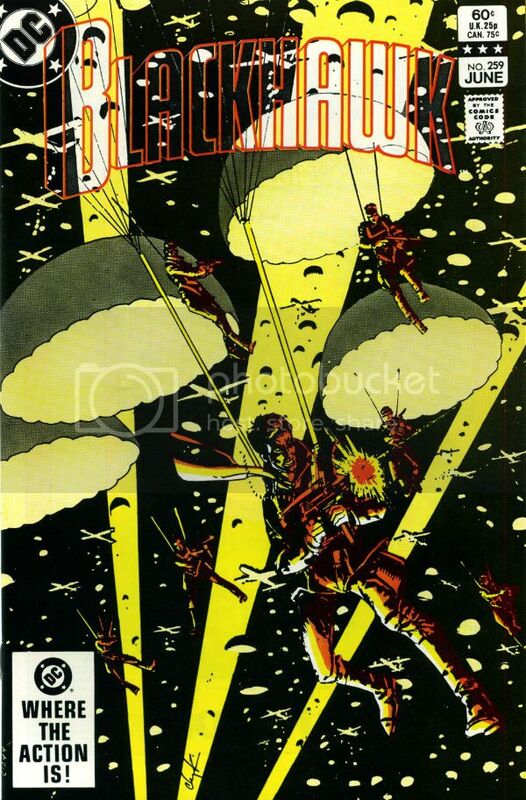 People still argue about whether the Allies were justified in dropping Jack Kirby on the Axis. Ha, ha, ha! Just joking! It’s okay, don’t worry, he had a terrible time, nearly losing his extremities to frostbite and generally seeing enough of War’s horrors that some of the starch got knocked right out of him. 1950s Jack Kirby dusted himself down split from Joe Simon and headed out solo for pastures new. 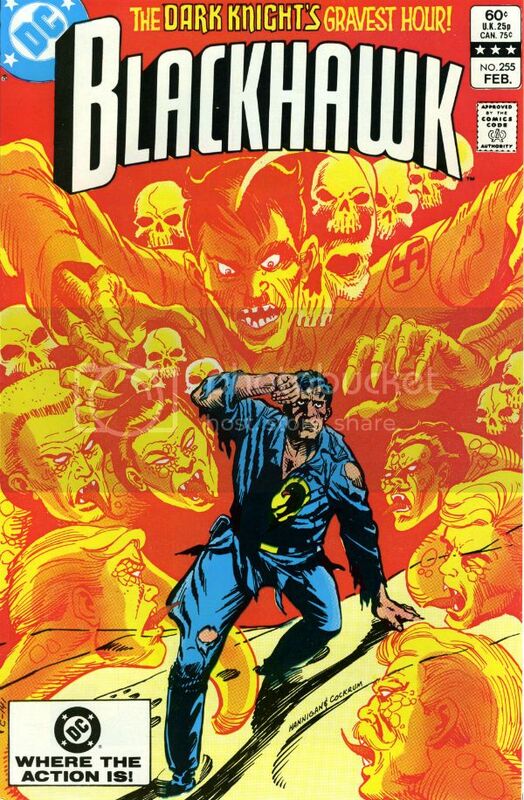 These being, unusually for pastures, located in the offices of DC Comics where he seemed (judging bythe JACK KIRBY OMNIBUS Vol.1) a bit lost really with his most significant creation being, with Dave Wood, The Challengers of The Unknown. Then 1950s Jack Kirby jumped to Marvel. Initially, he seems to have been roped in to draw mostly tales in which ludicrous monsters were defeated by pipe smoking men with unconvincing science. 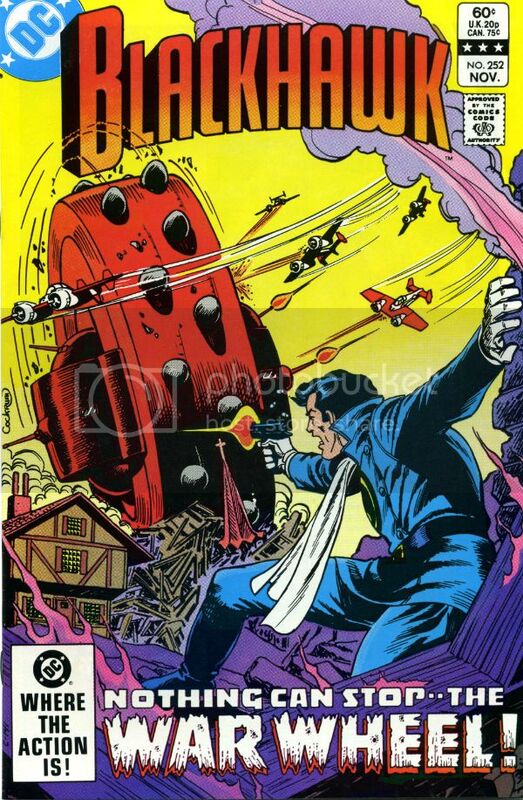 It’s possible that this entertaining but basically repetitive fare primed ‘50s Jack Kirby for his transformation into 1960s Jack Kirby who… unleashed a colossal quantity of creative energy and unprecedented innovation resulting in the co-creation (with Stan Lee, Steve Ditko, Bill Everett. Larry Lieber et al and etc) of the keystones of the Marvel universe. 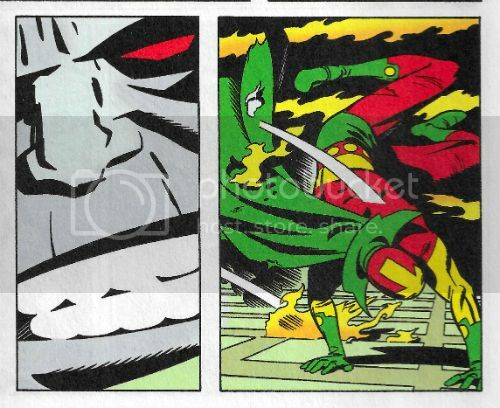 Keystones which continue to provide employment for thousands and earn hundreds of billions of dollars across a wide range of media platforms…did some Work-For-Hire for Marvel. Having (apparently) given his imagination the 1960s off to act as the facilitator for Stan Lee’s singular creative visions Jack Kirby’s mind was wide open and fresh as a baby wipe, ready for new challenges. 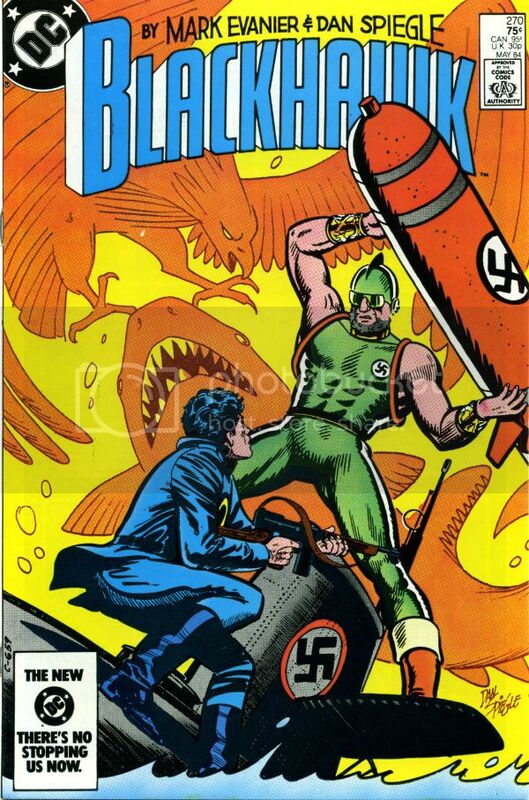 Certainly after his treatment by Marvel 1970s Jack Kirby was willing to entertain any notion, no matter how outlandish. But then again he always had been. This natural enthusiasm for the offbeat came in handy when The King produced SPIRIT WORLD, which contains some world class baloney. Hokum for the ages! "THE DEAD ARE EVERYWHERE! THE BLOOD IS NOT YET DRY!" 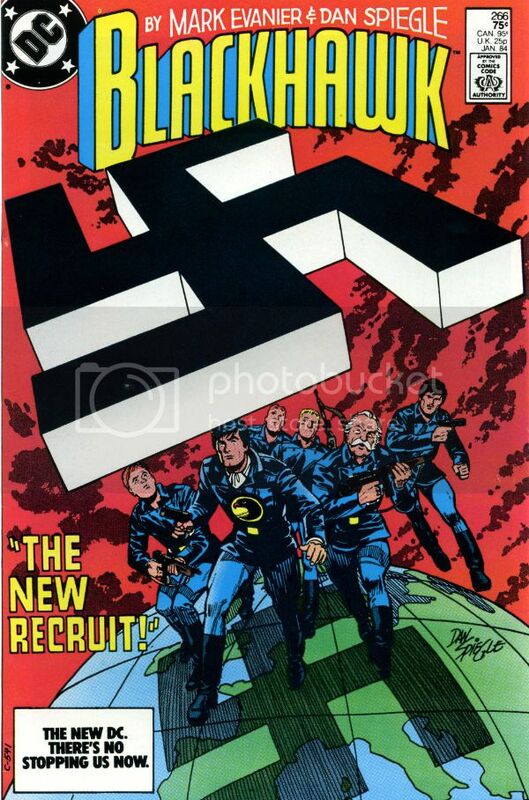 Kirby envisioned it as a colour magazine rather than the blue wash on the pages reprinted here. Perhaps that’s why the best stuff here is from the aborted second issue, printed at the back in B&W. 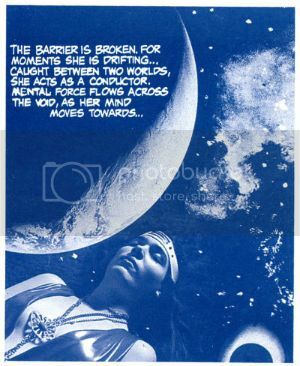 Kirby’s ‘70s artistic apex is on full show in “Toxl” and “Horoscope Phenomenon or Witch Queen of Ancient Sumeria”. It’s on these pages, of all the pages in the book, that the bizarre glamour of ‘70s Jack Kirby shines most clearly. 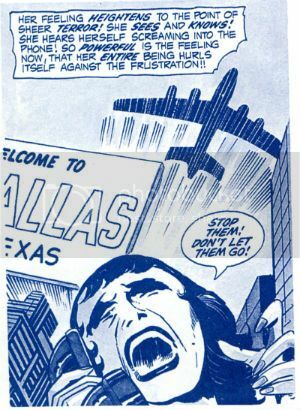 In comparison the previously published Kirby pages are (dis) graced by the inking of Vince Colletta. Kirby’s dynamism is sapped softly by the apathy Colletta’s powdery finishes always evoke. Even allowing for that there’s something subdued about the layouts, as though Kirby is restraining himself; more intimidated by the maturity of the intended audience than invigorated by the immaturity of the subject matter. It’s wonky stuff but it mostly works, and it mostly works because of the dynamism of the delivery. In the ‘70s even calmer Kirby work moved like a beast in heat. In a strange act of balance the text takes up the unaccustomed artistic slack in impact. 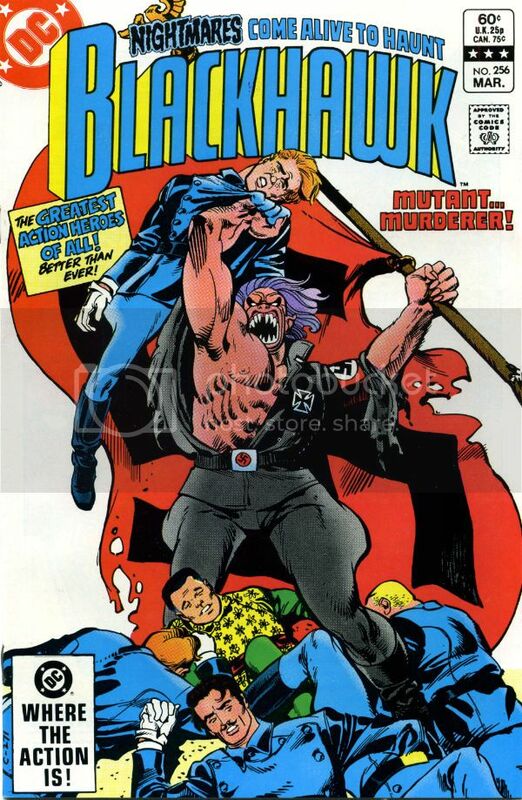 I understand people have been prone to mock the words of Jack Kirby, I believe such people to be in error. 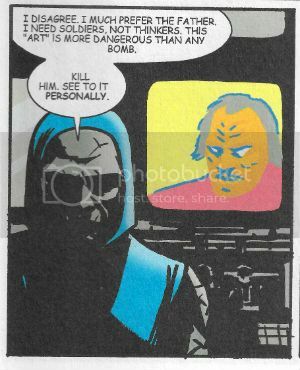 Some sophisticated individuals have been known to criticise Jack Kirby in that his work was a bit too on the nose sometimes. 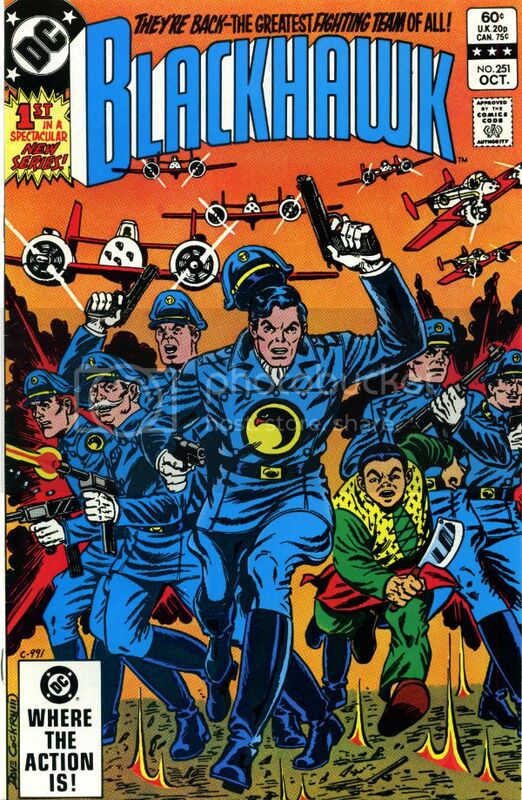 Perhaps, but then a pivotal figure in the life of Jack Kirby was a man called Goodman who didn't behave like one. Sometimes life can be a little on the nose too, is what I’m saying there. I think perhaps the accessibility of Kirby’s work post '60s Marvel is more of an assumption than a fact. Because most comic readers are so familiar, so early with Kirby there’s a tendency for his work to be taken as the norm; a tendency to be inoculated to the very eccentric complexity of his work. Take KAMANDI; why, land sakes, that’s just the hi-energy adventures of a cute lil cut-up in cute lil cut-offs in a wacky anthropomorphic world of stirring adventure. 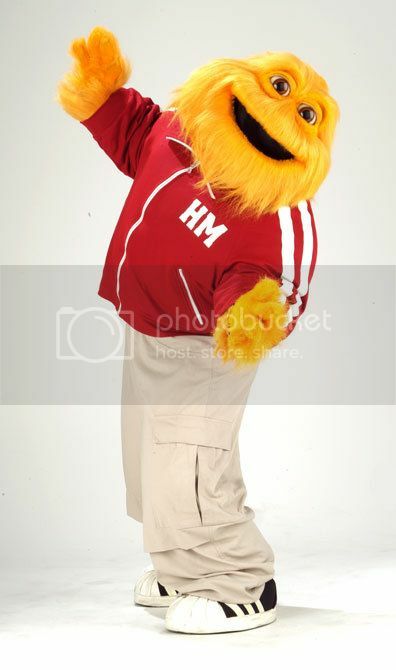 Okay, but it is also at one and the same time savagely violent and bleak; as much Hanna Barbaric as it is Hanna Barbera. By the 1970s Jack Kirby had found his definitive voice. It was a very strange voice but it was very definitely a LOUD voice. 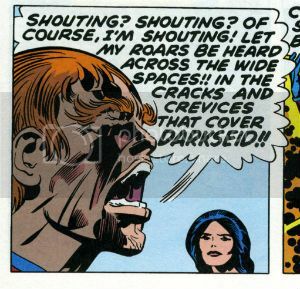 A BIG voice because 1970s Jack Kirby was telling BIG stories. "YET IN SOME UNCANNY WAY - - THEY FIT!!" In SPIRIT WORLD Kirby takes this operatic bombast and turns it down a notch, but not by much. And it works like GANGBUSTERS!!! 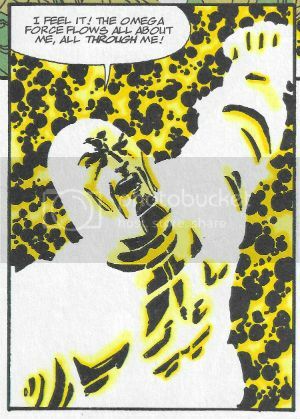 Here Kirby’s dealing with Joe Soap rather than Gods but all the same these pieces posit that people are at the mercy of forces beyond anyone's comprehension; forces which at any moment could pick them up and throw them around like mad dog with a rag doll. The clinical detachment of the paranormalist Alden Mass who presents each episode is just a feint; swamping both he and his rational accoutrements of pipe and beard is a tsunami of tintinnabulation; beyond his elbow patches a tone of almost hysterical mania practically punches you in the face on nearly every page turn. Kirby blares these tales at your slack face in the manner of Coney Island barker! Inducing the screaming meemies in all but the most inert of minds!! And why not! A woman who knows the President will die but NONE WILL BELIEVE!?! A woman re-visiting a past life, in a time before bras, where she is BURNT AS A WITCH!!! People who combust SPONTANEOUSLY!?! Ordinary people in extraordinary circumstances!?! Science become LIES!?!? Nonsense become SENSE?!? OF COURSE HE’S SHOUTING!!! If you like 1970s Jack Kirby you’ll like this, is what I’m saying. Otherwise it's very expensive and you're best off getting it from the library. 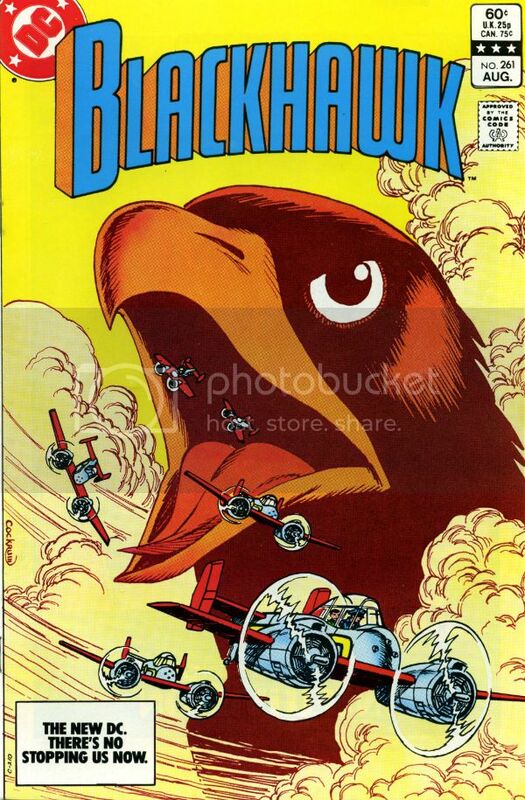 But I'm glad I got it because, for me, 1970s Jack Kirby is – COMICS!!! "...Achieving Liberal Ends By Fascist Means." COMICS! Sometimes They Fight To Make Men Free! You don't know this (because you aren't psychic) but even when you can't see me I'm working. Sometimes I'm even working at the job I'm paid to do or, on rarer occasions ,working to be a decent father and partner but mostly, let's face it, I'm working on something to do with comics for you and you only! 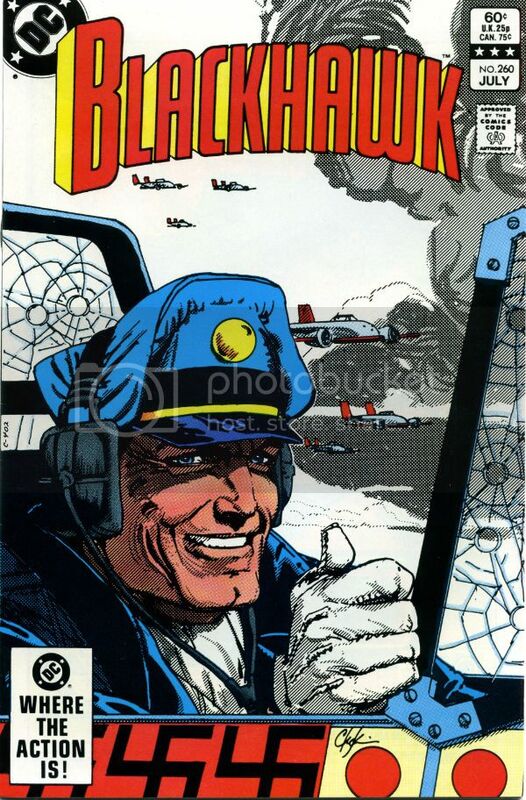 At the minute I'm invisibly having a pop at something on BLACKHAWK. A bit like I did for John Carter, you know - how it's changed over the decades. Anyway, I've got loads of stuff and it's all a bit overwhelming but work continues a(snail's)pace. Don't, you know, hold your breath or anything is my advice. 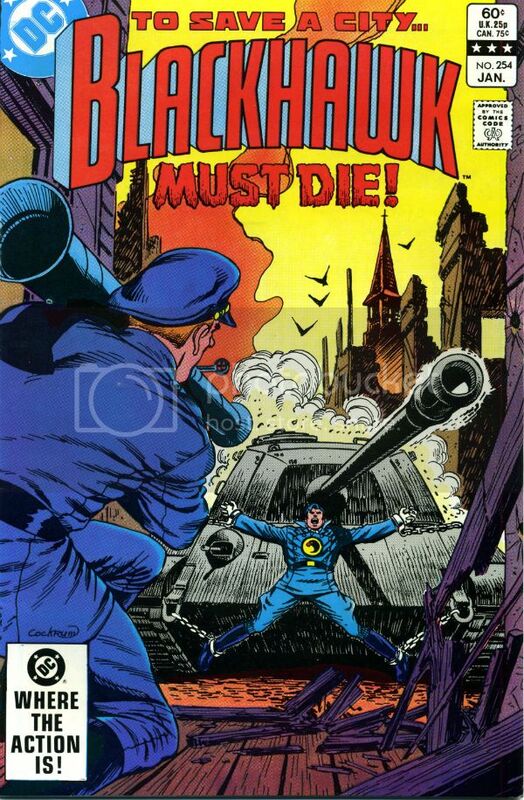 So, a I'm ploughing my way through this particular run of comics; a run I was previously unfamiliar with. And what gets me right from the off is the quality of the covers so I thought I'd share 'em. Now, I don't want to spoil anything I may later write but this series is solidly written by Mark Evanier in a slightly updated romantic adventure strip style. 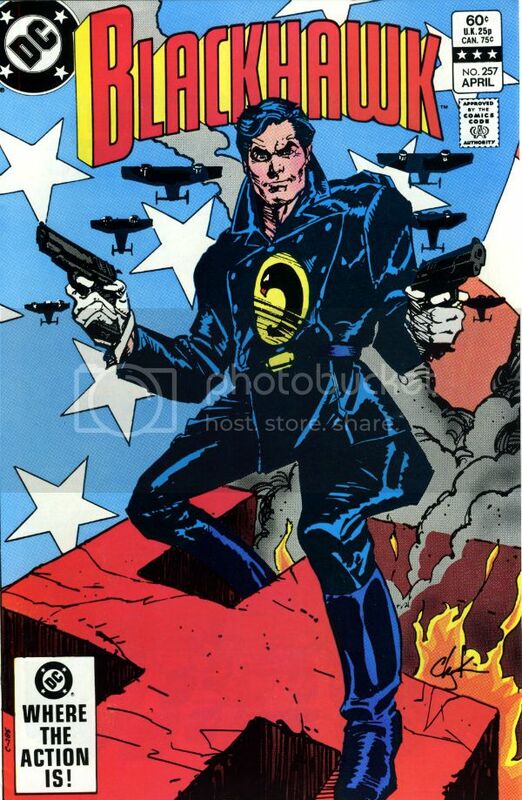 I like that, that's pretty good but Dan Spiegle? 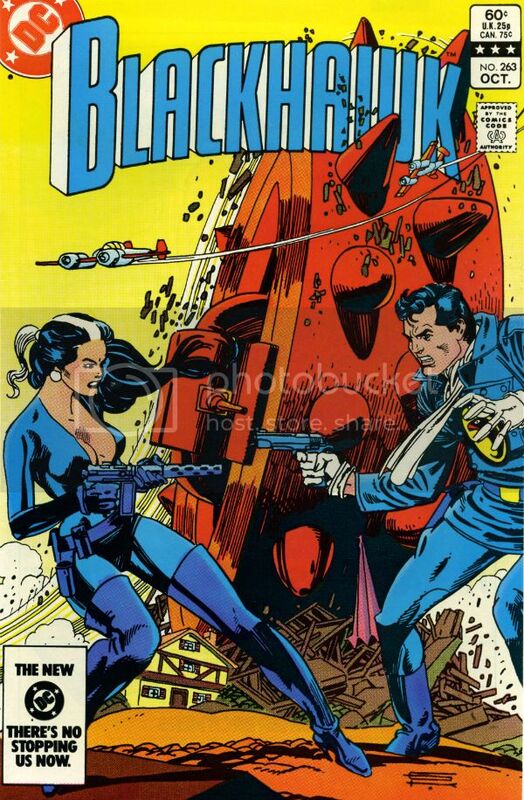 Dan Spiegle is a revelation. 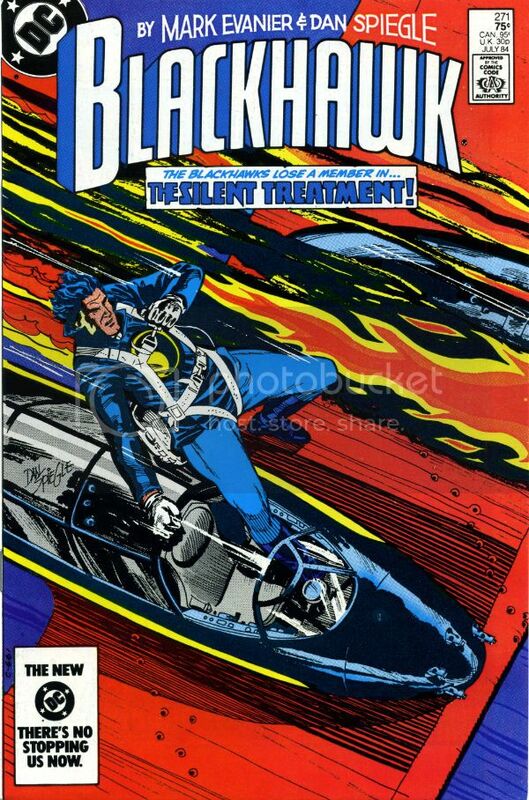 I will come back to this run even if I don't do the glutton's portion of BLACKHAWK, and I will do so for Dan Spiegle. 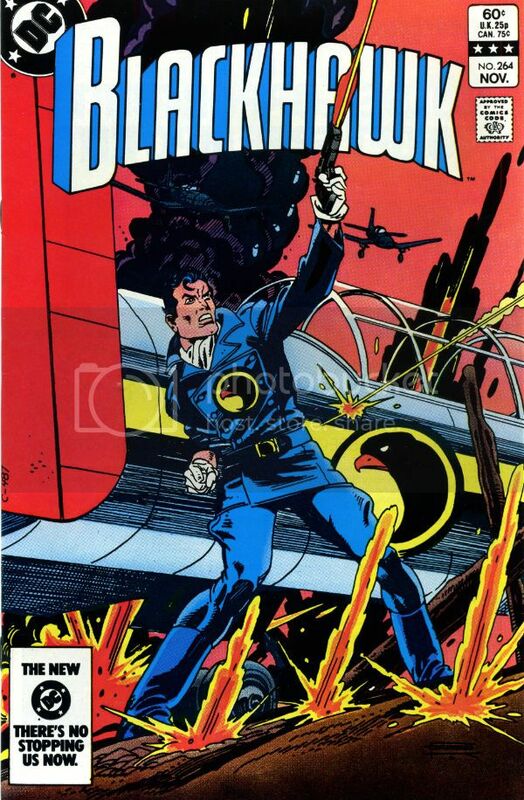 No offence to Mark Evanier whose work is sturdy and entertaining but Dan Spiegle is...well, words you know, failure of. Basically, in case I never finish the writing part I didn't want these covers to go to waste as some are sizzlers! and there was a gap in the content. What does nature abhor? A lack of free content! 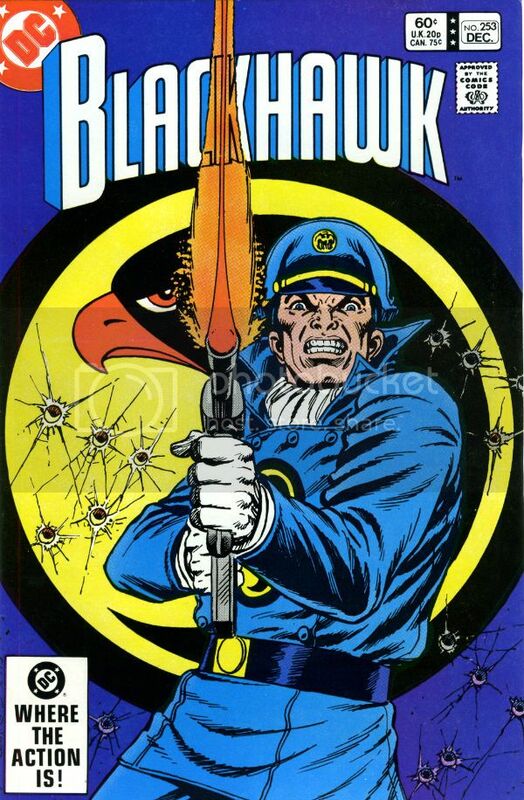 So, while you probably came for the Chaykin, Kane or Cockrum, I think you may find you stay for the Spiegle. 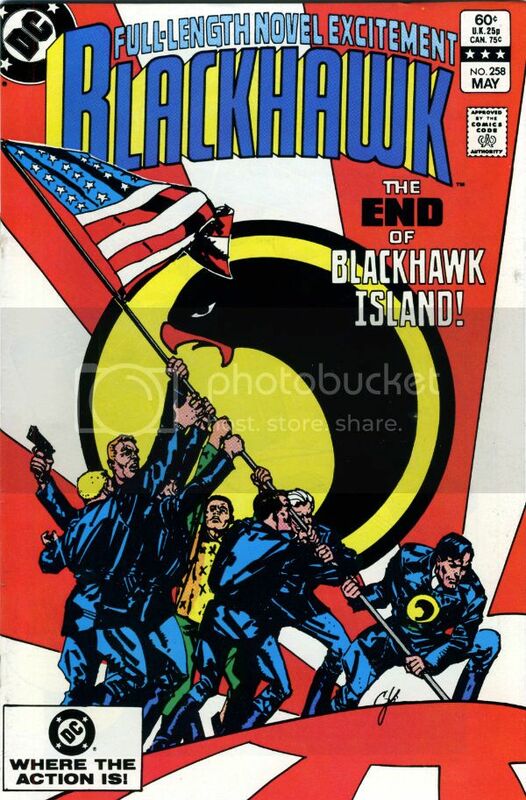 Anyway, some BLACKHAWK covers for your pleasure. I hope you enjoy them. 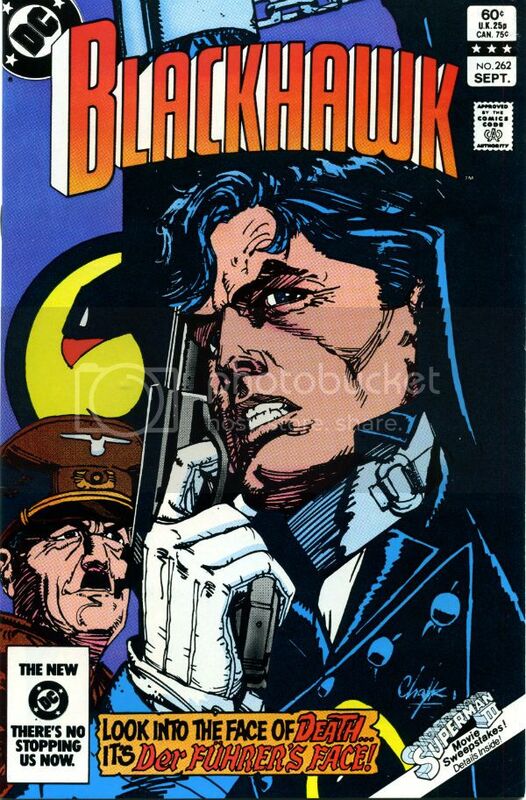 BLACKHAWK was created by Chuck Cuidera, Bob Powell and Will Eisner. Blimey O'Reilly! I think we can safely say those were - COMICS!!! See, for me, EVERY day is "read comics all day" day! I actually have two modes of reading comics, however, and this is kind of the "working in a candy store" problem -- most of the times I read comics, it is sadly "professionally" reading them. It's part of my job and function to have a general handle on what's going on in comics, so I like HAVE to read them. I order to properly ORDER and SELL comics, I feel like I have to read a lot of stuff that, really, I'd rather not read. I need to read, say, every other issue at least of virtually every "mainstream" comic so I know what they are and where they're going. Every week there are comics that I WANT to read, of course, but because of the way they arrive in the store (that is: all at once), I usually either intersperse or leave for last the comics I WANT to read (say, DETECTIVE or BATMAN & ROBIN or KNIGHTS OF THE DINNER TABLE) inbetween all of the stuff I'm much less enthusiastic about (Say, most DARK REIGN: COLON or FINAL CRISIS AFTERMATH: COLON titles) because otherwise I can't bring myself to read the less-desirable stuff. And this means that I probably don't get as much out of the stuff I DO like, y'see? It's all "professional" at that point. The second mode of reading is when I'm at home, and I'm just reading for pleasure. Nine times out of ten that therefore becomes REreading for pleasure, if you follow? Because of having a small son (Six Years Old tomorrow, YAY! ), my "me time" is more and more limited -- I've just come downstairs after reading to him, and it's like 9 PM, yeesh, and I've got maybe 3 hours to "me" tonight before I have to fall asleep again. 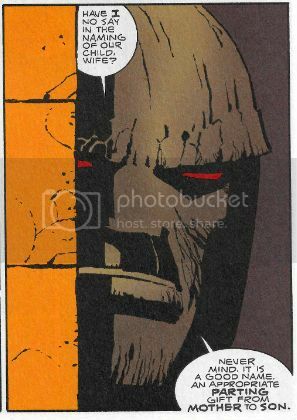 So a lot of my "pleasure" reading is in the "inbetween moments" -- in the bathroom, maybe, or taking a comic with me when I go out to sneak a smoke -- little 10 and 15 minute breaks and that's all I've got. 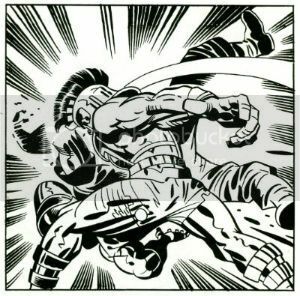 Which brings us to the topic of this column -- this week, in taking my breaks, and sneaking my sneaks, I've been rereading Sergio Aragones' GROO THE WANDERER. These are PERFECT "break" comics -- they usually are fast reads, but they absolutely encourage you to linger in particular panels. Can you spot the hidden message? What has The Minstrel's top-of-his-lute characters metamorphosised into this time? What's the funniest background gag Aragones has snuck in? And so on. This week I've been reading through the Dark Horse collections, most specifically from THE GROO HOUNDBOOK to THE GROO NURSERY, or that is to say from v8 to v14, if my fingers are counting correctly. Which further makes between issues #32 and 56. This is a great period for the book: Groo is given a permanent partner in Ruferto, his faithful dog, which added a ton of storytelling possibilities; and a huge chunk of the recurring humor is established in these issues (most notably the "I Am The Prince of Chichester" gag) -- you can tell that Aragones' (and Evanier and Luth and Sakai) are all having a ball, and are really hitting their stride as a finely oiled team. What I like the most about GROO in this incarnation is that most of the stories are completely self-contained in terms of introduction and execution of plot -- everything you need to know is always explicitly laid out for you, naturally, in the course of the story, and they all come to a nice moral point at the end. Even if they're multi-part stories -- each chapter comes to its own, separate conclusion. In short, in reading each issue, you really feel like you got an issue's worth. That's a great feeling, especially compared to today's comics. Seriously, these guys are master of both compacting the content so that you really feel like you got a full experience, as well as streamlining it so there's seldom anything extraneous or wasted. These are absolutely dead-on perfect 22 page entertainment packages, and there's not a creator alive who probably couldn't benefit from reading a few issues of GROO and paying attention to the Lean Density on display. This is really masterclass stuff, even if it is just silly comics about a stupid barbarian. Anyway, I hope this period comes back into print soon, as it really is EXCELLENT.